Donations of new socks, gently used and new coats, winter accessories, small-sized toiletries, diapers sizes 4, 5 and 6, or feminine hygiene pads may be dropped at the offices of the West Essex Tribune, located at 495 South Livingston Avenue, next to ShopRite. Donations may also be left at Ascend Physical Therapy in Montclair; and at the chiropractic offices of Dr. Gary Hecht in Springfield. Those unable to drop donations at the Philanthropies’ drop-off points may e-mail Friedman at jftv1@verizon.net for private pick-up. Photo: Livingston Philanthropies founder and director Jeff Friedman is shown here with Ethel Tomlin, trustee and president of the missionary board of the United Missionary Baptist Church in East Orange. 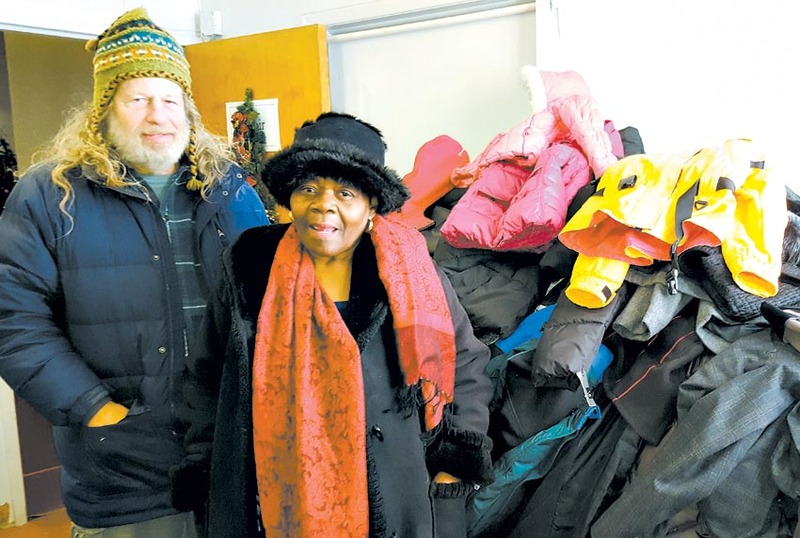 United Missionary, a founding distribution partner of Livingston Philanthropies, was the recipient of 138 warm coats along with winter accessories from the Livingston-based charity, just in time for the recent snow storm and bitter cold temperatures.